When I was growing up, I had it in my head that I wanted to be an inventor. I thought it would be the coolest thing ever to create something that doesn't yet exist, that could brighten people's lives in even the littlest way. I tried- and I failed. Everything I thought of already existed, it seemed. Although I don't think I have quite the creativity to invent anything yet, I still find it amazing seeing what other people come up with. Every night before bed, I watch Shark Tank reruns and I can't help but be envious of these passionate geniuses. 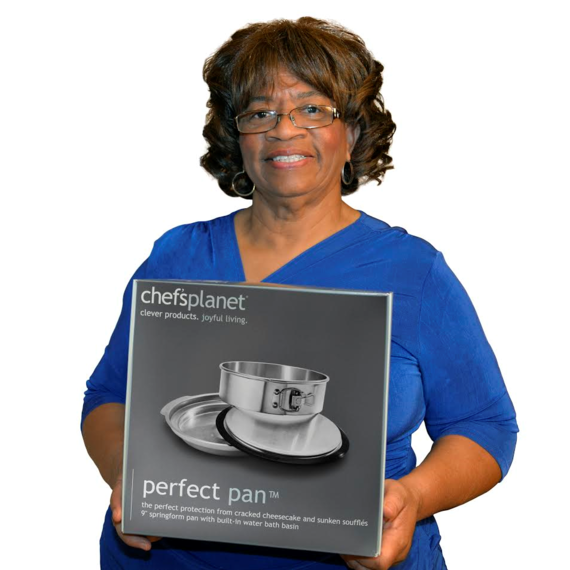 I got the opportunity to pick the brain of Barbara Winfield, who invented the Perfect Pan for making cheesecake. As an avid cheesecake enthusiast, this sparked my interest. I usually refrain from making cheesecake because it rarely turns out the way that I want it to. Barbara is more of a thinker than I am, clearly, because she found a way to solve an issue that many people have with making the perfect cheesecake. 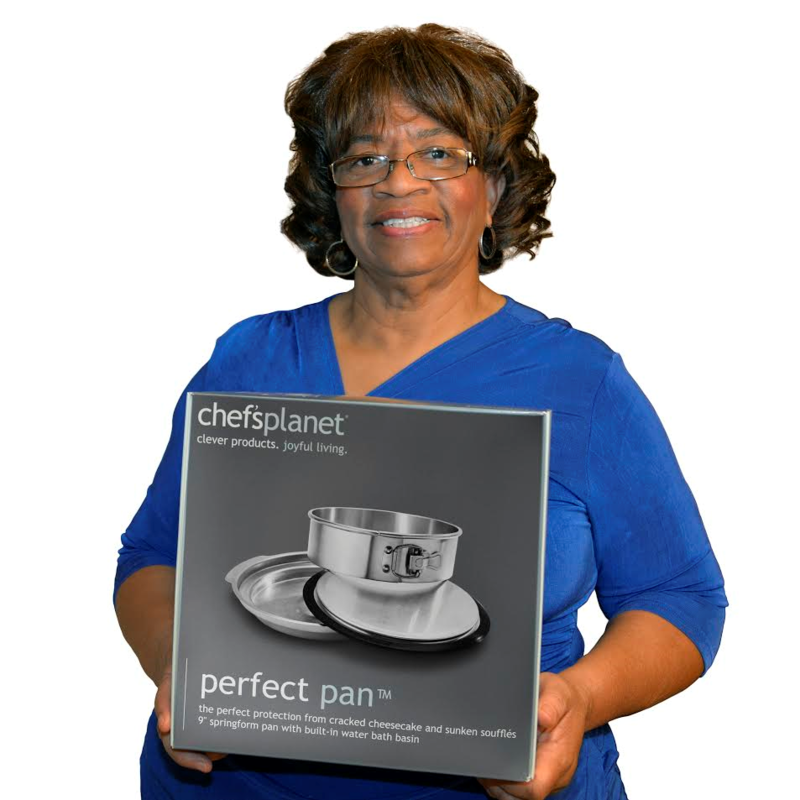 Barbara, tell us a little bit about how you came up with the Perfect Pan. One night I laid down to rest in perfect peace, with no thought of my problems, and no idea about the next day. When I woke up, I told my son about a dream I had involving the Perfect Pan. My son said, "Mom, I think that is a great idea." Once you thought of the idea, what did you do next? After talking with my son about the dream, he encouraged me to go through with the idea by seeking help from InventHelp. I called InventHelp to schedule an appointment with the agency. I met with an agent, and did a drawing in the office. We discussed the possibilities of the pan. A lot of people think that inventors are of a younger generation but you have proven that is not necessarily the case. What would you say to the 50+ demographic who maybe has had an idea for years but hasn't done anything with it? Seek God first, be thankful for the good, bad, smallest and biggest things in life, because these are the things that will make you strong to push you toward your dream. Place yourself around positive minded people that will encourage you to follow your dreams. Remember it's never too late to learn or follow your dreams, to make an impact on our youth today. Don't become part of "what if" group. Barbara's story is so motivating, because it shows just what can happen when you follow through and go after your dreams. How many times have you thought of a great idea, then did nothing about it? I do it more often than I would like to admit. Don't let the negative voices in your head talk you out of taking action just because it might not work. You'll never know until you try, so you might as well take a leap of faith; it might turn out to be better than you could ever imagine.